The United Nations Space Command, more commonly known as UNSC, is the military, exploratory, and scientific agency of the Unified Earth Government. The UNSC formed halfway through the 22nd century as remnants of old cultural ideologies clashed for supremacy in the Sol System and mainly oversaw United Nations military operations in space. The UN massively militarizing its off-world colonies via propaganda and then defeated communist and fascist forces in the "Interplanetary War" which consisted of several side-battles that took place on Mars, the Jovian Moons, and the South American rainforests. Although the Interplanetary War brought great suffering and death unto Earth and its colonies, it united humanity's militaries into a common, armed force by the end of the 22nd century. Humanity was in chaos before the Covenant attack on Harvest in 2525. The UN was waging a bloody struggle against groups of terrorists (or freedom fighters) called the Insurrectionists, who wanted independence from the Unified Earth Government. The UNSCDF, a branch of the UNSC, constantly battled the Insurrectionists. 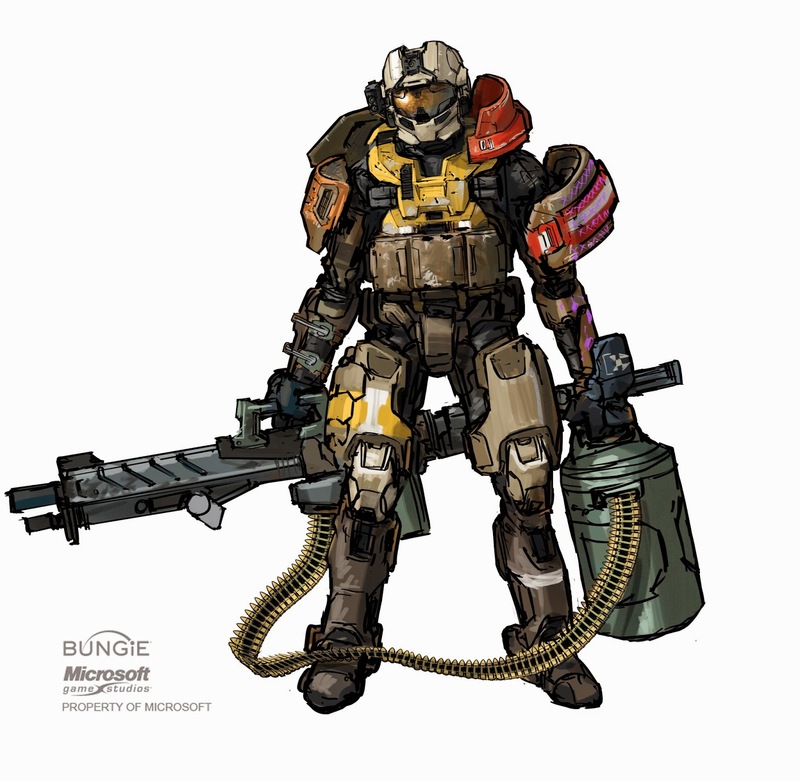 In an attempt to help end the long-running war against the rebels, the UEG commissioned the ORION Project (also known as the SPARTAN-I project) and later the SPARTAN-II Program, which created a group of elite super-soldiers to combat the separatists and the insurrections that they spawned. When the Human-Covenant war began, and the technologically superior aliens began decimating the Outer colonies, these Spartans became humanity's best hope for survival. Faced with genocide on an unprecedented scale, the UNSC mobilized for total war. The dire circumstances of the Covenant conflict allowed the UNSC to override civilian rule and establish itself as humanity's primary government. Although the Unified Earth Government was more open to step down, the Colonial Administration, the arm of the UEG ruling over the colonies, resisted the UNSC's rise to power, and was thus stripped of its power. By the time the war began, humanity had reached Tier 3 of the Forerunner civilization ranking system. Technological improvements continued to rise due to the capture of advanced Covenant equipment, which was studied and adapted for human needs. The very best and cutting edge of UNSC war assets were supplied to the SPARTAN-II Program. Other enhancements geared towards mass production were distributed to the SPARTAN-IIIs and -IVs. One such example of war time innovation was the energy shielding adapted and improved for use on the MJOLNIR armor. As a player, you jump just in the middle of the dark days of the conflict, right before the fall of Reach, the humans are losing the war and desperate times require desperate measures. The UNSC is in war for decades with two deadly enemies, the Covenant and the Insurrectionist, but a new threat emerge from the vaults of an lost civilization: the flood. When this character is adjacent to a friendly UNSC characters modify his range values by +2". Give this character a power action and choose an adjacent UNSC friendly character. The chosen character modifies its damage value by +1 while adjacent to this character and making ranged combat attacks this turn. Uncopyable. 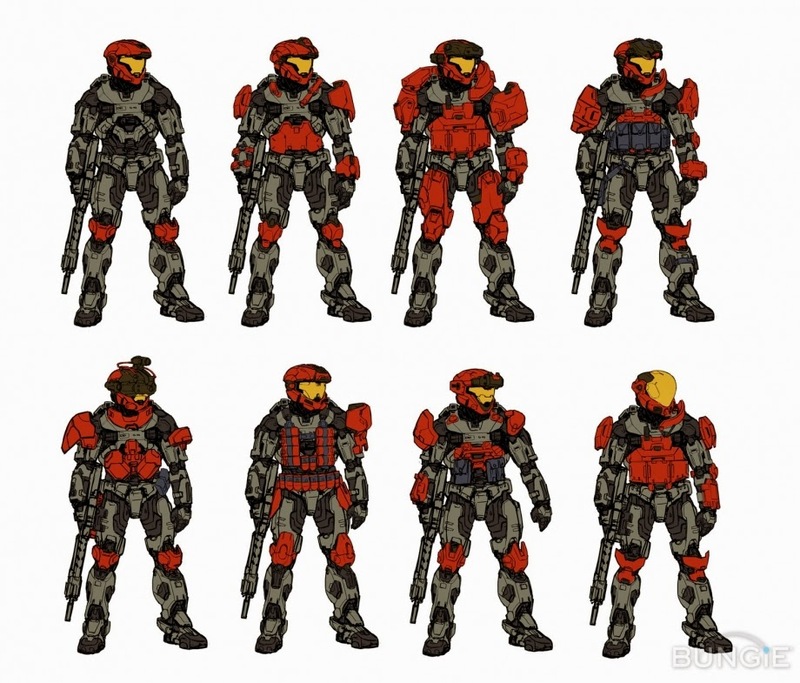 You have 3 common character to select in a UNSC squat: Marines, OSDT and Spartans. You can make a group of just one type, but a good general know that a balance squat with a good mix of specialist, is the key to success. Combat reflexes: modify this character’s defense value by +2 against close combat attacks. When this character takes damage from an attack, it may choose to be knocked back. This character ignores knock back damage. Equipment: Marines has access to a vast arsenal of weapons in the USNC, only surpassed by Spartans. The good: Marines are Cheap and reliable troops. This are great for having a large team of character that can capture objectives and deal damage to the enemy. With the UNSC team ability you can increase the range of their weapons and even increase the damage that they can deliver. Good vs. Grunts, Jackals. The bad: Marines are fragile. With only 5 heath points two shot of an elite character or one heavy weapon can destroy your marines. DEFLECTION (Def 1): Modify this character’s defense value by +2 against ranged combat attacks. COMBAT REFLEXES (Def 2): Modify this character’s defense value by +2 against close combat attacks. When this character takes damage from an attack, it may choose to be knocked back. This character ignores knock back damage. 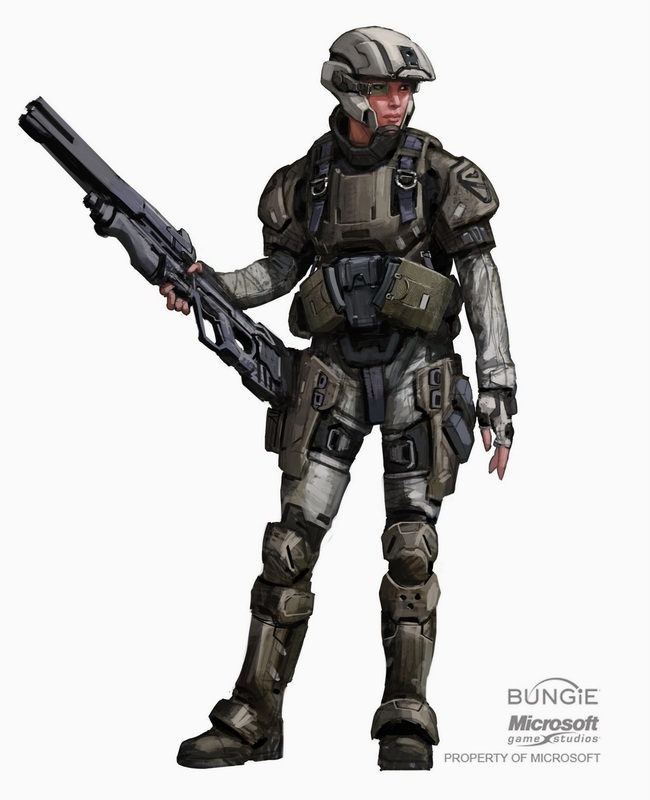 Equipment: ODST has access to Pistols, SMG and Sniper rifles. The good: Hard to hit, elite unit capable of being deployed anywhere in the battlefield (with a minimum distance of 14" of an enemy). This can be useful to capture objective of kill priority targets. Better life and stats than marines, make them really powerful characters in any squat. The bad: High price. A squat of only ODST is a small squat. They can deliver pain to the enemy but you can be outnumbered if your are not careful. UNSC Team ability. Inhuman Strength, Ambidexterity. Dodge (Def 2): When this character is hit by an attack, you may roll a d6 before damage is dealt. On a result of 5-6, this character evades the attack. 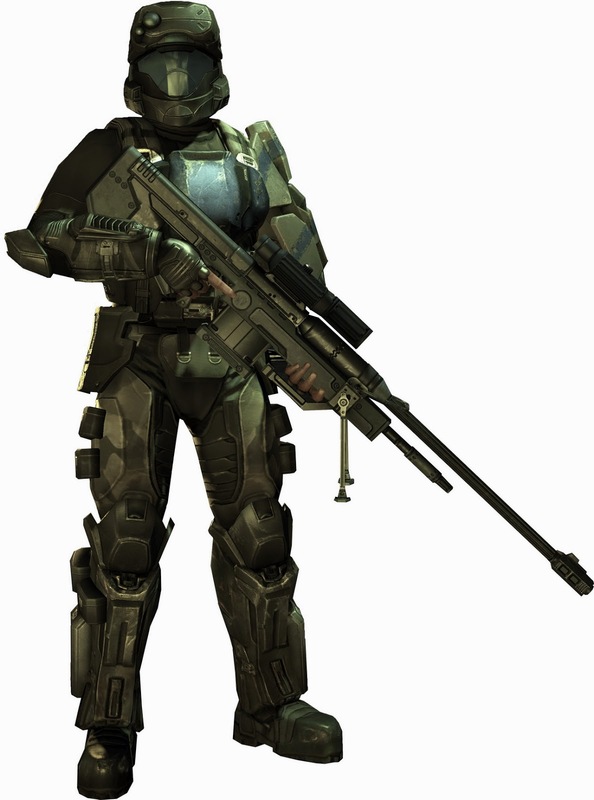 Equipment: Spartan has unlimited access to all military equipment from the UNSC, including decomisioned Covenant weapons and even heavy weapons. The good: Super elite unit. Basically all Spartans are like living tanks protected with shields, fast on the battlefield (with Speed 8 they move faster on the board) and with a good selection of gear. The bad: High price. Just like ODST , an all Spartan squat is quite small. This squat has a god range power, and a good selection of decent cheap fighters and elite troopers. The Spartan and the ODST has the mission of destroying the most powerful character in the opposite squat while the marines give support and capture victory areas or hard points. With great power but few in numbers, this is a hard to kill squat, but will have trouble to capture hard points and victory areas. This type of squat play to destroy or cripple the enemy before they can do the same.